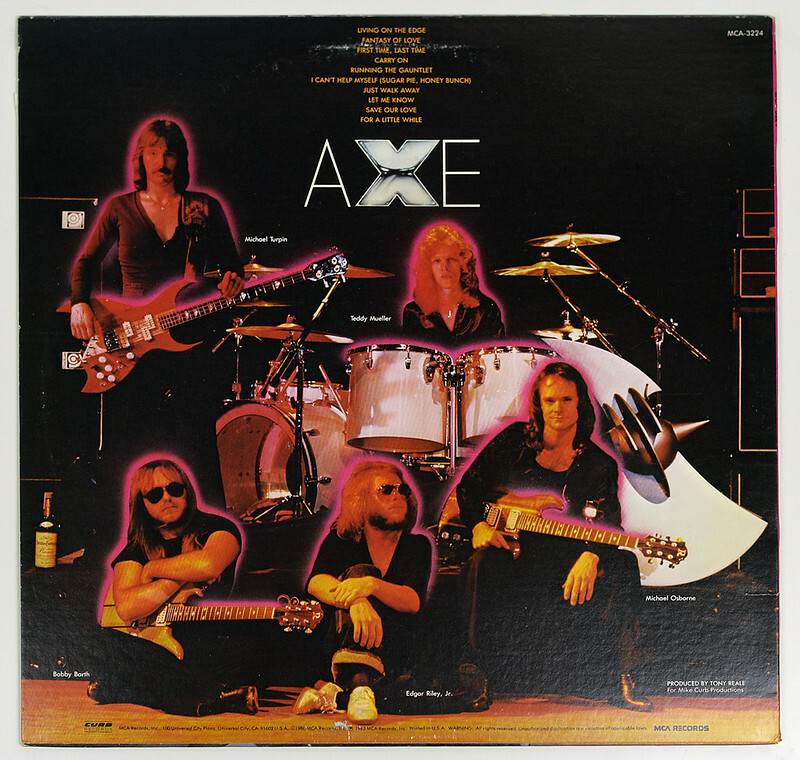 AXE an American Hard Rock band from Gainesville, Florida, USA. 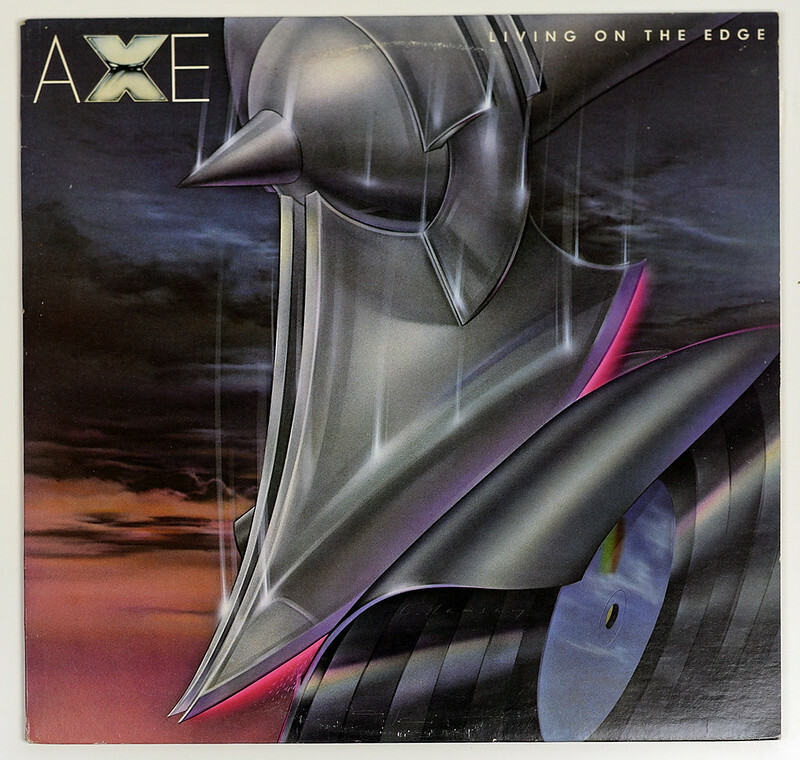 AXE band was previously called "Alien" and comes from ex-members of "Babyface" with "Edgar Riley Jr", "Bobby Miles", "Bobby Barth", "Mike Turpin". In 1979 it was renamed from "Alien" into "AXE" and "Michael Osborne" joined them as second guitarist. 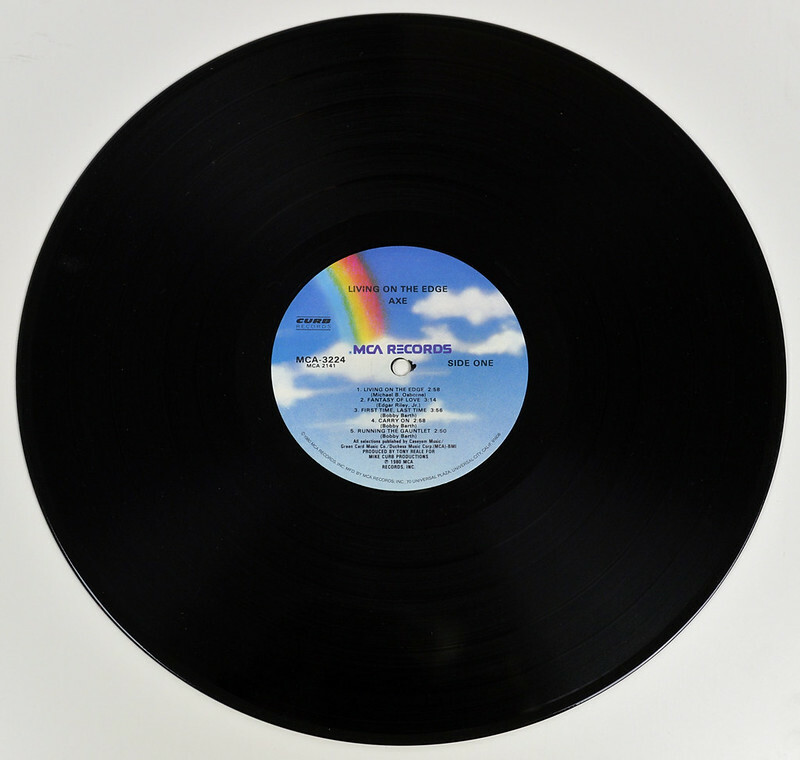 "Living on the Edge" is the second full length album by the American Hard Rock band "AXE". 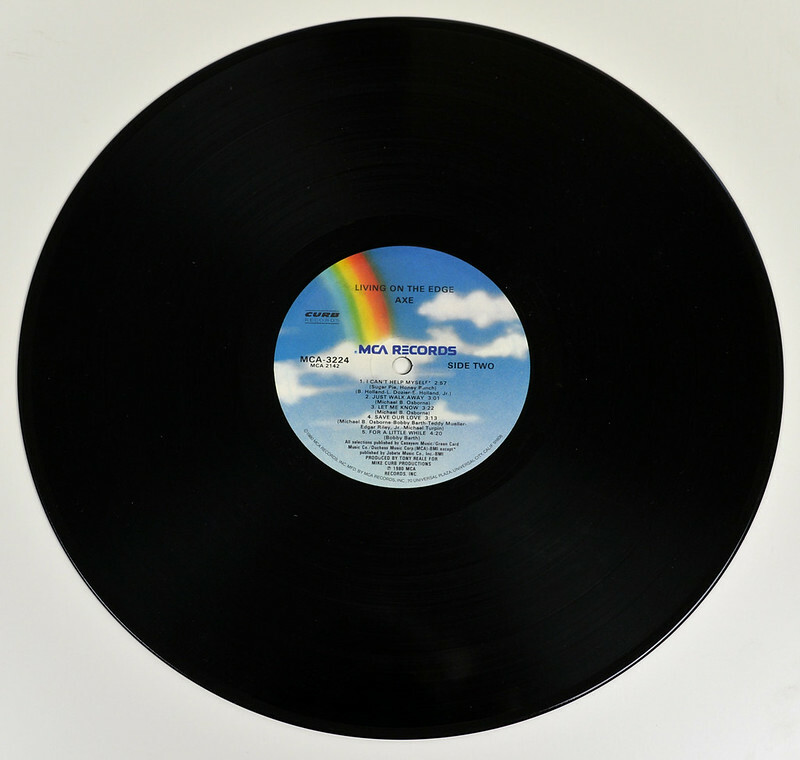 It is their last album recorded and released on MCA records.In addition this is the last album with the original Babyface, Alien, Axe, as this is the final album with Michael Turpin. High Resolution and Quality Photos of Complete Album Covers " AXE - Living on the Edge"
Album Back Cover Photo of " AXE - Living on the Edge"
Michael "Mike" Turpin bass guitar player with the bands: Babyface, Alien and Axe. "Living on the Edge" is the last album with Mike Turpin on bass. Complete Track-listing of the album " AXE - Living on the Edge"